November 10th in Viral, Wordpress Plugins by Wordpress Jedi . WooCommerce makes it easy to bring your store online and sell digital and physical products. It doesn’t run your business for you though. 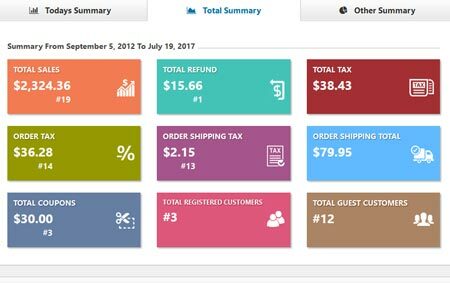 The WooCommerce Ultimate Reports plugin is one of many scripts you can use to keep an eye on profits, sales trends, and other important data. WooCommerce Ultimate Reports comes with graphs and reports to help you make sense of your data. You will be able to view order details, variation reports, projected sales, coupon reports, and refund information. It also allows you to export your data to Excel, CSV, and PDF. Thanks to this plugin, you will be able to see where your orders come from, how much you have had to refund, and how people are reacting to your coupons. WooPro is the developer of this plugin.